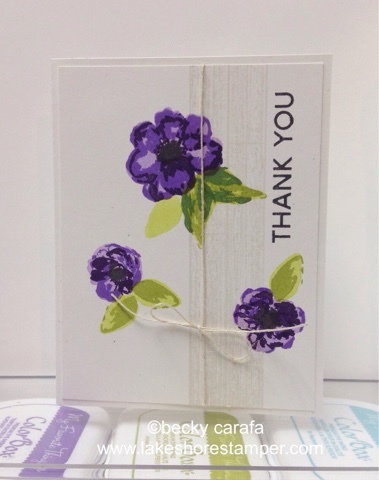 I used these beautiful watercolor flowers, wood plank strip, and sentiment from Soda Pop for this week's card. Thanks for stopping by! Very pretty. I had a slightly similar idea in my head, but it never made it to paper. :) Love your design and colors!